From Taco Bell: football in April. "Mom, these aren't for girls!" 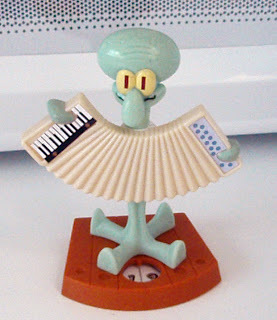 From Burger King: Squidward "High Low" toy. You actually need two of these to get the full stupid effect. 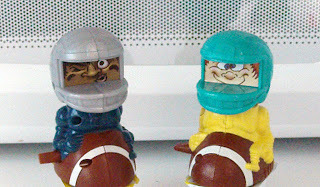 You manually move the numbers of both toys to see who got "high" and who got "low." Really. 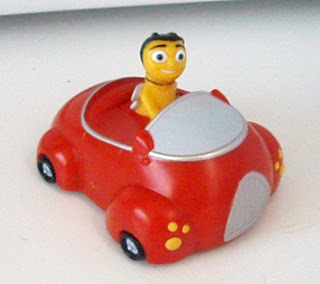 Carl's Jr: Bee Movie car. "Mom, that's for babies." Except babies can't have them. No one under three years old can have them. So why give them away at all?